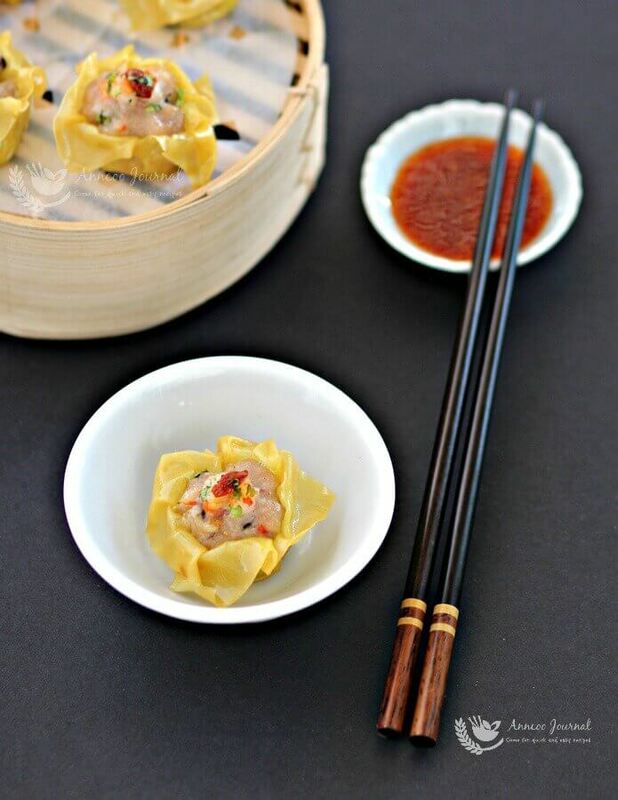 Dim Sum ~ Siu Mai in Cantonese or Shaomai (烧卖) in Mandarin is one of the most popular item on the menu in the dim sum restaurant. It is always a must have whenever we go for dim sum lunch. They are actually not difficult to make and definitely can be enjoyed at home with your family as a snack with a pot of Chinese tea. Mix all the ingredients and seasoning together in a bowl. Stir mixture in one direction till sticky with a pair of chopsticks. Then refrigerate for an hour. Then wrap the filling with the wanton skin and place in steamer with parchment paper below. 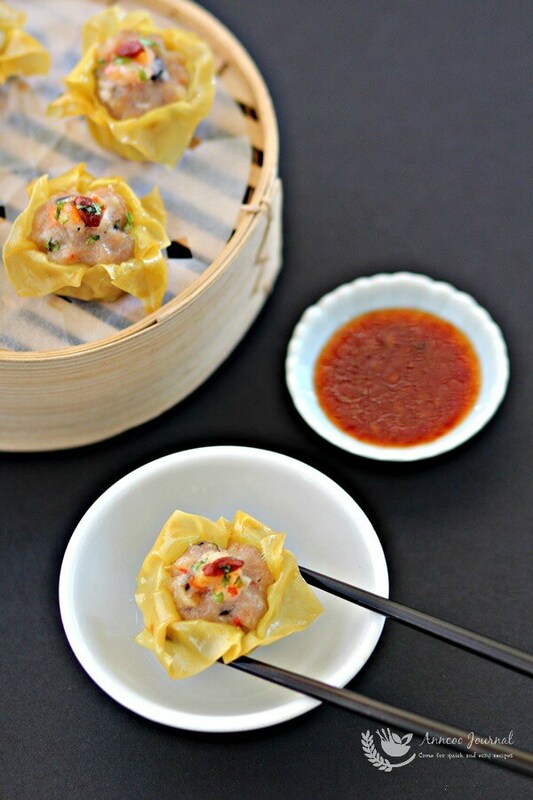 Steam siu mai at high heat for about 8-10 minutes till cooked and serve immediately. Mix all ingredients and seasoning together. Stir mixture in one direction till sticky with a pair of chopsticks. Then refrigerate for an hour. 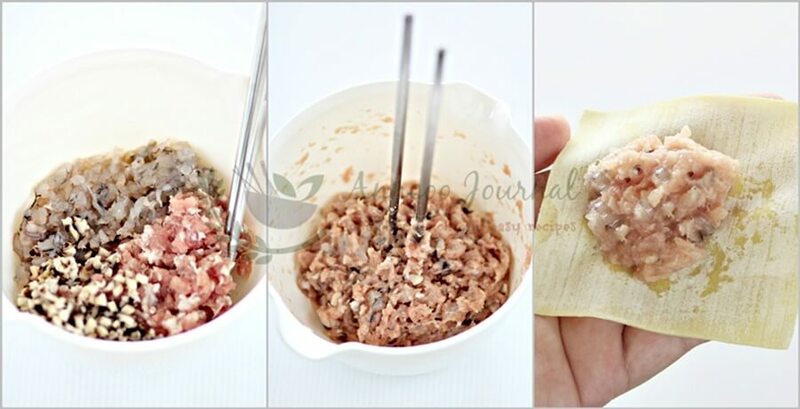 Put about 1/2 tablespoon of filling in the middle of the skin. Place it between your thumb and finger to form a circle leaving the top open. 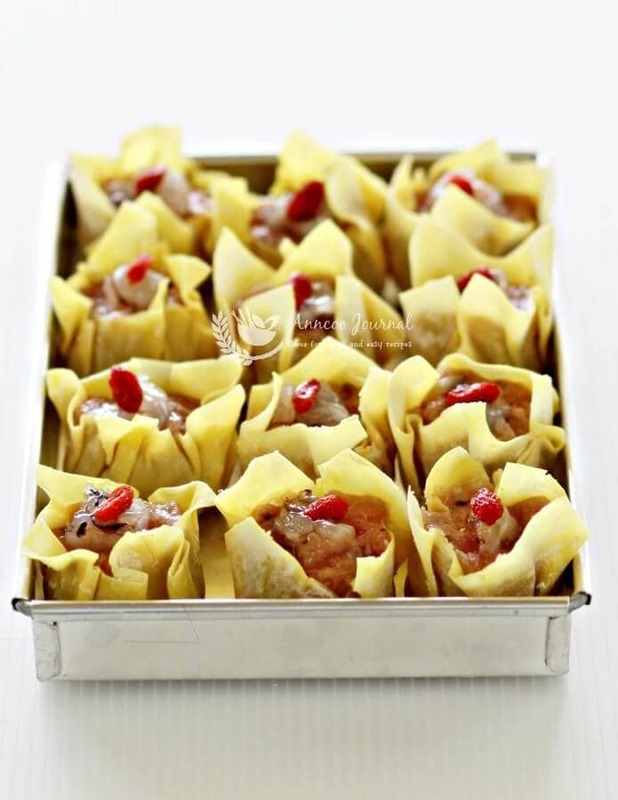 Gently squeeze the siu mai so pleats are formed. Wet your thumb with some water and gently press the top. Your Siu Mai look so inviting. Angie is right, they looks like the restaurant one! I like your homemade siew mai made with goji berry. Sounds healthy and delicious! Drooling ! 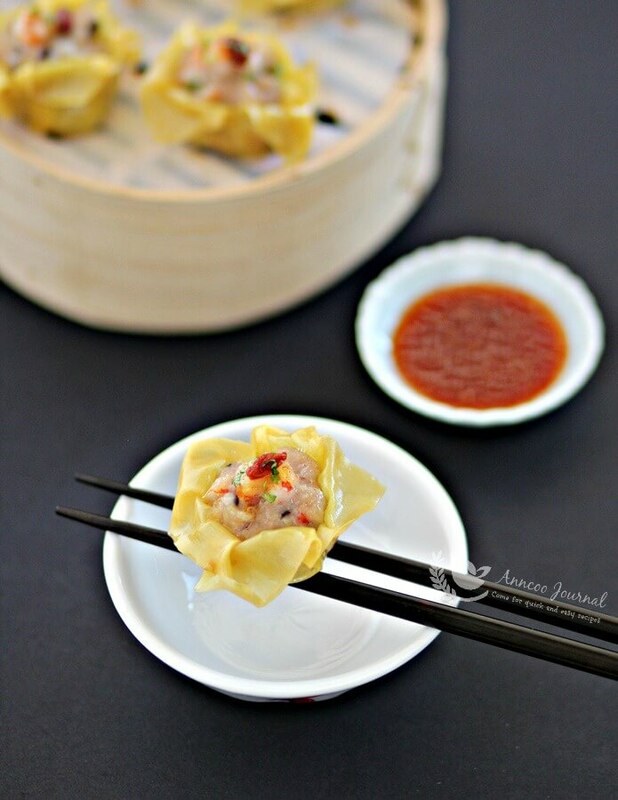 Your yummy siu mai with goji berry must be perfect yum cha treat ! So much skill is required to make so perfectly looking dim sums! They look very tempting! They look just like the one from the restaurants! Good job, Ann. Ann, your siew mai is so delicate! It sounds easy to make but I am doubtful about my wrapping skills hah..hah..
That's a pretty looking siu mai! And looks so delicious! Do you think I can freeze the raw siu mai, or cook them before freezing? Hi Fern, Steam the siu mai first and freeze.